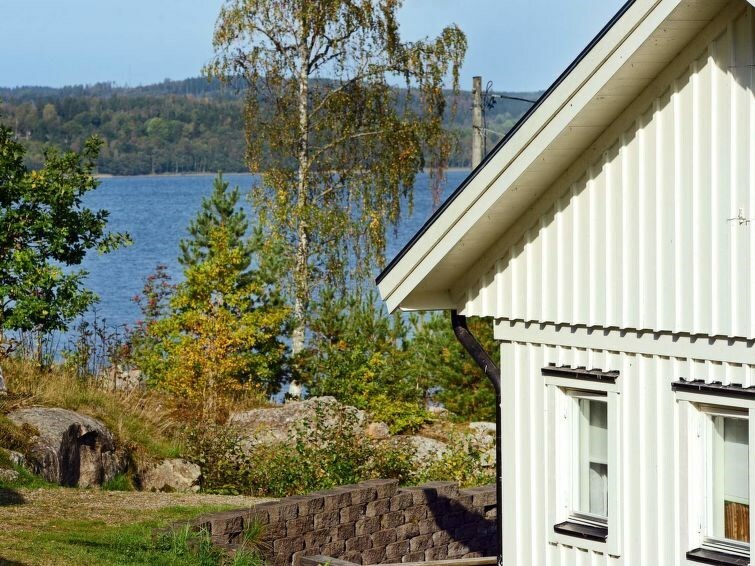 Set in a marvellous location, right by lake Åsunden, this attractive holiday home offers everything you need for a comfortable and exciting holiday. Your cottage is set only 30 metres from the pier and a canoe is included in the rent. Theres also a charming little sandy beach only 100 metres from the house. From the house and the two terraces you get a lovely, panoramic view of the lake. The interior of the house is light and airy, and tastefully decorated. The modern kitchen features a cosy wood-burning stove, an electric cooker and all of the other amenities you need, including a dishwasher. In the living room youll find a pellet stove, a TV, a DVD-player, a bed, and an extra bed. There are two bedrooms, each one features a double bed. The bathroom is equipped with a WC, a washbasin, a shower, a washing machine, and a dryer. The house has two lovely terraces from which you can enjoy the beautiful surroundings. The lake is rife with fish, just dont forget to buy a fishing permit! If you enjoy walking and cycling, theres a great path that takes you around the lake. The nearest shop is in Vegby which is three kilometres away. Vegby also has a little restaurant. 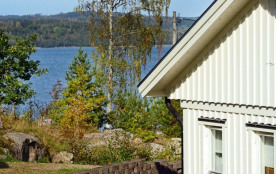 The larger town of Ulricehamn is 10 kilometres from the house and offers a variety of shops. The towns Göteborg, Jönköping and Borås are also within driving distance. Welcome to beautiful lake Åsunden! Ulricehamns kommun - 6 pers.